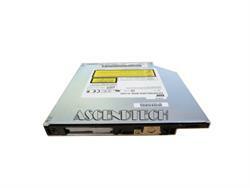 Toshiba - TS-L532U Toshiba TS-L532U Slim 8x Dual Layer DVD+/-RW Laptop Burner Optical Drive. Acer America - Aspire 1700 Acer Aspire 1700 Series DVD±R/RW Dual Layer Laptop Optical Drive SDW-082 KU.00803.001 KU00803001. Dell - TS-L633J/DEFHF Dell FKGR3 TS-L633 Dual Layer DVD Writer Drive for Dell Inspiron Latitude Optiplex and Vostro Notebook Laptop and Desktop Computers. Compaq - 314936-001 COMPAQ ARMADA CD-ROM DRIVE P/N: 314936-001. FOR ARMADA 7800 SERIES. Toshiba - TOSHIBA 8X NOTEBOOK DVD-ROM DRIVE PN: SD-C2402. SAME AS: SD-C2502 27L4129 27L4128. Compaq - 344860-001 HP PAVILION NOTEBOOK ZD7000 COMBINATION DRIVE PN: 344860-001. 24X MAX DVD-ROM/CD-RW COMBINATION OPTICAL DISK DRIVE - 24X DVD READ SPEED 4X/4X/24X CD-RW . Compaq - F4640-60936 HP Pavilion ze5000 8X DVD-ROM PN: F4640-60936. 319421-001. Compaq - 336084-6C0 HP DVD+R/RW DRIVE PN:336084-6C0 MODEL:GCA-4040N SAME AS 344861-001. 370957-001. SILVER BEZEL. 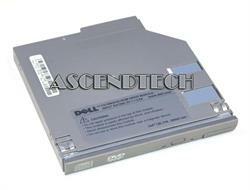 Compaq - 316295-001 COMPAQ ARMADA 1700 SERIES LAPTOP DVD DRIVE PN: 316295-001. FOR ARMADA 1700. 316295-001. Compaq - 285529-001 DVD CDRW COMBO DRIVE PN: 285529-001. FOR ALL COMPAQ PRESARIO 900/1500/EVO N1000 LAPTOPS.